Dash is the leading e-commerce and payments-focused digital currency, and the rising alternative to bitcoin. With over 1000% year over year growth in both value and trading volume since 2015, Dash has been consistently ranked in the top ten digital currencies by market capitalization and only one of the few offering safe, decentralized financial solutions to real world problems. Dash offers a form of money that is portable, inexpensive, divisible, and fast. It can be spent easily and instantly online at merchants across the globe, at much lower fees than credit and debit cards. In the last 12 months alone, Dash has made a significant number of business partnerships and integrations with companies and services around the world. With over 50 members on the development team and a unique blockchain mining and treasury model, Dash is the only major self-funded, self-governed organization in the cryptocurrency industry. This allows for constant development and funding for the entire project so community members can upload and vote on proposals, and if they are approved, they are paid for directly from the blockchain. Dash has an exemplary track record of serving the unbanked and underbanked by providing an alternative form of payment online and at the POS, without the user needing support from an established financial institution. And for international transfers, it’s a faster and less expensive way to send remittances to family or friends overseas compared to depositing cash with a money transmitter or going through international bank transfers. Additionally, Dash prides itself on helping countries entrenched in political and economic turmoil by providing more financial options, especially in countries suffering from hyperinflation. Residents are turning to Dash to buy daily essentials, top up their mobile phone service, and send money to loved ones. 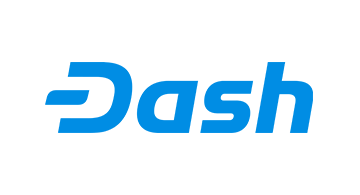 In July 2017, Dash became an Apple approved cryptocurrency, meaning it can be integrated and utilized in any relevant application on the iOS App Store, including multi-blockchain wallets and Dash’s own official wallet. Now in 2018, Dash plans to unveil their landmark product, called Evolution- the industry’s first easy to use decentralized payments platform. Evolution will look and feel familiar to users, much like PayPal or Venmo, but will be superior in that it will be cheaper, decentralized, and merchant and consumer friendly - completely removing the technical barriers currently associated with digital currency.